What a unique corporate gift idea! 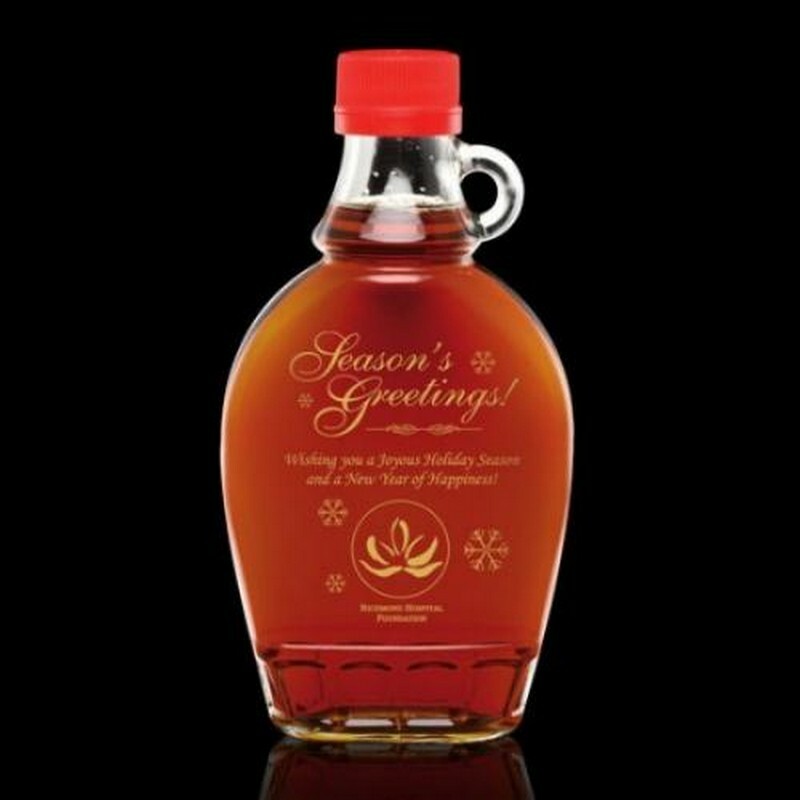 Our beautifully etched bottles are filled with real Canadian maple syrup, and make a unique and truly memorable gift for all occasions.These etched bottles are the perfect way to reward clients, employees and suppliers! Syrup is the only product in our diet coming directly from a plant's sap, this natural sweetener features over 54 antioxidant. 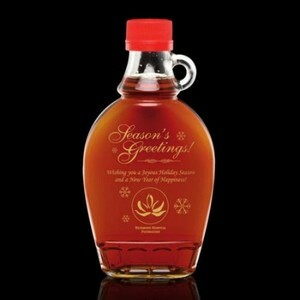 Packaged in an classic maple syrup bottle with maple leaf emblem towards the top this tasty gift is the perfect way to show you care.